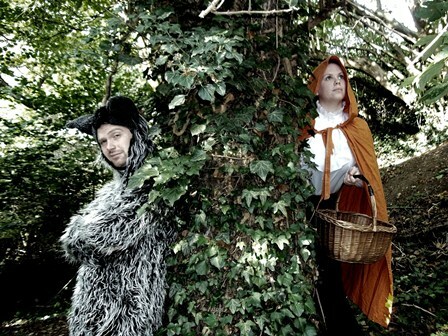 If you went into the woods this summer… The Brothers Grimm spun tales of wicked witches, talking animals, plucky maidens and dashing adventurers in this deliciously dark and thrillingly inventive show for adults and children alike. Music, magic, and some of the best-loved stories ever to have graced the stage. The Brothers Grimm collected over 200 fairy tales. The Pantaloons picked 16 of the best and gave them each a unique spin, delighting audiences around the country. You can see what the press had to say below and also listen to our original song ‘Play Dead’ from the show.